The Nike Golf Ladies Dri-FIT 1/2-Zip Cover-Up Style 578674 is available in Ladies Sizes: S-2XL and comes in the following colors: Black/White, Dark Grey/Sport Fuchsia and White/Black. This 1/2-Zip Cover-Up is available to purchase in ladies sizes S-2XL and comes in the following colors: Black/White, Dark Grey/Sport Fuchsia and White/Black. 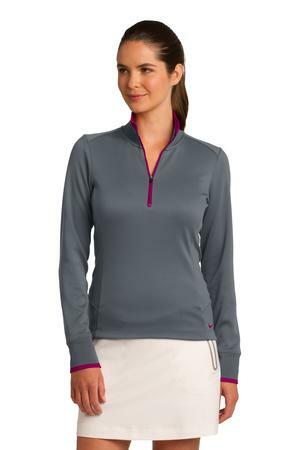 Be the first to review “Nike Golf Ladies Dri-FIT 1/2-Zip Cover-Up Style 578674” Click here to cancel reply.